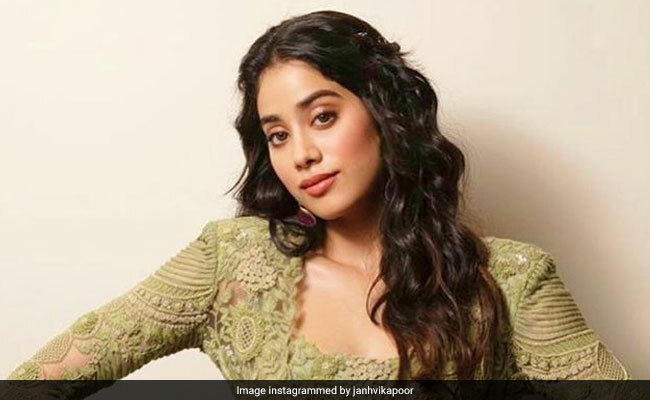 Janhvi Kapoor's told this actor: "Sir, par aap toh ice cream ho, aap sabko pasand ho"
Actress Janhvi Kapoor recounted meeting Pankaj Tripathi at a party where the actor gave her "a look" for her unusual analogy, reports news agency IANS. Janhvi was speaking to Anaita Shroff Adajania on an episode of Voot's Feet Up With The Stars. Janhvi, daughter of late actress Sridevi, told Anaita that at a party when she heard Pankaj Tripathi comparing acting and the process of cooking mutton, she joined the conversation and said: "Sir, par aap toh ice cream ho, aap sabko pasand ho (You are like an ice cream. Everyone likes you). Right after I said it, he gave me a look. He probably thinks I am a creep." She added: "But yes I feel he is a legendary actor and there is no one like Pankaj sir. I couldn't hold back and immediately expressed my fondness for him." Janhvi Kapoor is also said to be working on a biopic of Gunjan Saxena, an Indian Air Force combat pilot. Later this year, Janhvi will start filming Karan Johar-directed Takht, which also stars Ranveer Singh, Kareena Kapoor, Alia Bhatt, Vicky Kaushal, Anil Kapoor and Bhumi Pednekar. Janhvi Kapoor debuted opposite Ishaan Khatter in 2018 film Dhadak, which was also produced by Karan Johar.